Chilham Tennis Club was formed in 1972 and is a member club of Chilham Parish Recreation Ground Trust. It is situated in Branch Road, Chilham and has 2 floodlit hardcourts providing tennis all year round for all ages and abilities. The club is run by volunteers and has the cheapest membership subscriptions in the area. It aims to provide a well maintained tennis facility that is (1) affordable to all and maintained entirely through membership subscriptions, fund raising and grant applications; (2) offers coaching through a qualified coach and competitive tennis in local leagues; and (3) promotes junior tennis and provides social tournaments and non-tennis social events. The club is entirely self sufficient and all club expenses including court maintenance and resurfacing are financed by the income it receives from membership subscriptions, grant income and fund raising events such as the successful wine and wisdom evenings held each year in Chilham village hall. Annual maintenance costs are typically £1,500 and include court cleaning and mosskill treatment, hedge cutting and fencing repairs, the annual rent of the courts from the Recreation Ground costs £1,000 and each year the club puts away another £1,500 into a sinking fund for court resurfacing which is normally required each 10 years and would currently cost around £20,000. 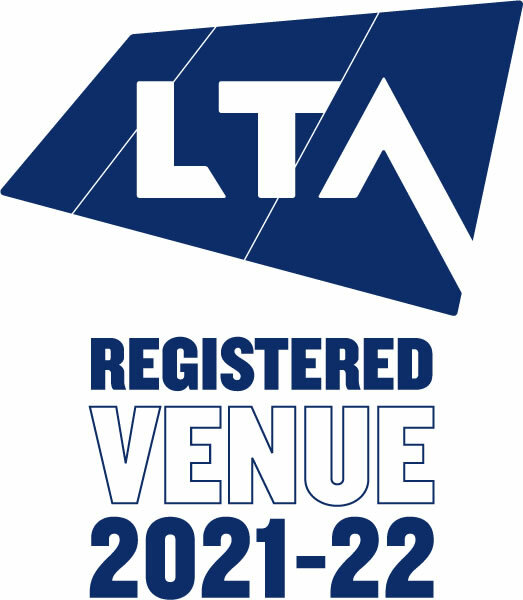 The club has achieved the LTA TennisMark accreditation which means that the LTA consider it a well run club. Tennismark is a way of recognising good standards and best practice at tennis venues in Britain. It will enable the club to access funding that would otherwise not have been available and this will be important for the clubs future development. In the past we have been entirely self sufficient but to develop we need to supplement our own funds with grants that are available from the LTA, Sport England and others. The membership year runs from April to March. For 2019/20, Family membership is £95, adult membership £50, senior membership (over 65) £30 and junior membership £25. This works out at less than £1 per week per person. We welcome new members of all ages and abilities and our club coach Danny runs regular coaching sessions for adults as well as juniors. We run teams in the Kent League, East Kent League, Ashford & District League and Dover & District League. If you are interested in team tennis please contact one of our captains. To find out their contact details go to our contacts page. Check out our WelcomeLetter or contact our chairman for more details about the club.